The Southern California investment company with a federal permit to develop wave energy in waters off Mendocino has entered into a partnership with one of the world’s top companies in the field. GreenWave Energy Solutions recently entered into a memo of understanding, or MOU, with Ocean Power Technologies (OPT) of New Jersey, a move which makes wave energy off the village of Mendocino much more likely than ever. Earlier this month, Ocean Power Technologies earned a federal license to develop wave energy off Reedsport, Ore., a groundbreaking move in the Federal Energy Regulatory Commission (FERC) process. Ocean Power Technologies had its own FERC wave energy preliminary permit off Cape Mendocino but last year gave up on that site as impractical. OPT, which has since eclipsed many of its hydrokinetics competitors, plans to bring its experience to developing waters off Mendocino, the FERC permit states. OPT recently deployed one of its Power Buoys off Hawaii, where it is also developing wave energy. OPT has been granted the exclusive right to sell their patented WEC devices to GreenWave for the generation of electrical power off Mendocino. The existence of GreenWave’s FERC preliminary permit already spells doom for the creation of any new Marine Life Protection Act (MLPAI) Initiative protection of the claimed area. GreenWave told FERC in its latest progress report that the firm has a target date of April 2012 for filing a license to actually develop electricity off Mendocino. A preliminary permit gives exclusive study rights to an area to the applicant and also provides automatic preference to a license to actually produce power in the ocean. “The proposed 100 megawatt GreenWave Mendocino Wave Park is estimated to generate an average of 250 GigaWatt-hours annually. GreenWave has contacted most or all of the stakeholders … and will continue to conduct community outreach and informational efforts to keep all stakeholders apprised of progress and plans related to the environmental studies and development of this proposed wave energy project,” the FERC filing by GreenWave President Wayne Burkamp states. GreenWave and Ocean Power Technologies plan joint meetings locally beginning in March, the filing states. The two firms plan to file full details of the wave energy project with FERC by March and then discuss those plans in public meetings with locals. Wave energy has generated substantial local opposition led by local fishermen. The environmental community in Mendocino has also opposed wave energy. Environmentalists in Humboldt County have not been involved in the issue. PG&E, faced with local opposition, withdrew its Fort Bragg wave energy development application and continued its effort in friendlier Humboldt County, then added a second site in Southern California. 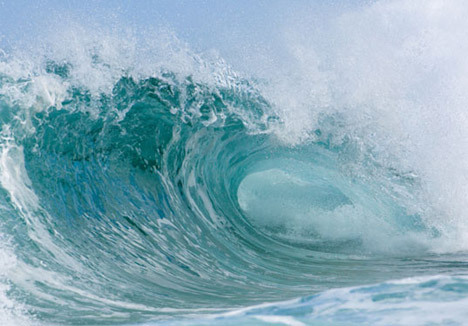 National environmental groups signed off on wave energy in a letter to president Obama. But the Obama administration studied the issue and, like Fort Bragg residents, learned the technology raised serious environmental issues and was too theoretical to help with the nation’s energy needs in the foreseeable future. In the meantime, fishing and civic groups have been seeking to construct a public process that protects the ocean. A group formed in Fort Bragg, Fishermen Interested in Safe Hydrokinetics (FISH) is the lead plaintiff on a lawsuit against FERC challenging FERC’s issuance of the exclusive development rights to waters off Mendocino to GreenWave. The city of Fort Bragg, County of Mendocino, the Ocean Protection Council, the Pacific Coast Federation of Fishermen and the Recreational Fishing Alliance are also part of the challenge. The lawsuit, with filings due in federal court this spring and summer, asserts that FERC failed to follow environmental laws or create a comprehensive plan before issuing wave energy permits. “GreenWave has reviewed the allegations contained in the complaint and believes the allegations are without merit. GreenWave is monitoring this litigation and will provide any support that FERC believes necessary,” GreenWave’s recent filing states. PG&E said the reason it abandoned its Fort Bragg development site was Noyo Harbor is unsuitable. That hasn’t discouraged GreenWave so far. The exclusive three-year preliminary permit granted in May 2009 to GreenWave stretches from just north of Albion to off Point Cabrillo, about a half-mile to three miles offshore. Five men from the Thousand Oaks area of Southern California, including Tony Strickland, a Republican state senator, formed GreenWave Energy Solutions about two years ago. Strickland, one of the state’s most ardent deregulators and anti-tax advocates, won the state Legislature’s closest race last November by a handful of votes, California’s closest major race. He made his involvement in alternative energy a key part of his campaign. Green Wave Energy Solutions when formed was composed of Burkamp, Strickland, engineer Bill Bustamante and prominent housing developers Dean Kunicki and Gary Gorian. Calls to GreenWave’s message phone number revealed Strickland and the others are still involved. GreenWave does not mention Strickland, or any local members of the California Legislature among its communications with the Legislature in its report to FERC. “GreenWave has participated in numerous meetings with California state government officials regarding various aspects of the permitting process and the political dynamics of development of a wave farm, in this district. GreenWave has met with various legislative personnel including California State Assemblyman Felipe Fuentes (39th District). Assemblyman Nathan Fletcher (75th District), and Gov. Schwarzenegger’s Chief Deputy Legislative Assistant, John Moffatt. “These meetings involved discussions regarding the future of wave energy in California, working to streamline the permitting process in California and questions related to legislation which would assist in wave energy development,” the FERC filing states. The Marine Life Protection Act Initiative process has concentrated solely on restricting and banning fishing, despite broader general ocean protection goals in the act. An opinion issued by the California Attorney General’s office states that any prior legal claim (such as a preliminary permit for wave energy) precludes the establishment of any type of new marine protected area. However, that fact has not yet been introduced into the discussions of creation of “arrays” or fishing restricted areas, despite large areas off limits in both Humboldt and Mendocino counties due to permits granted to PG&E and GreenWave. Editor’s Note: Phenomenal reporting by Frank Hartzell, thank you! Australian ocean energy company BioPower Systems announced it reached an agreement with the city of San Francisco to explore wave energy technology. “The feasibility of ocean waves as an energy source is being considered and this could lead to further project development,” said John Doyle, acting manager of infrastructure at the San Francisco Public Utilities Commission. BioPower will work with the San Francisco utility to examine the feasibility of a project site 5 miles off the coast of California. The project could generate between 10MW and 100MW of power, the company said. The BioPower wave system, bioWAVE, generates 1MW of energy per unit. The company said it would install several units at an undersea wave energy farm that is out of view and environmentally friendly. San Francisco and BioPower are working to bring wave energy to the power grid by 2012 pending results from a feasibility study. “We have already assessed the potential for economic energy production using bioWAVE at the proposed project site, and the results are very promising,” said Tim Finnigan, chief executive officer at BioPower.